Celebrate this St. Valentine's Day with a romantic dinner at Infuse Restaurant. Enjoy a 4-course meal infused with our love and live piano music to add up to this special atmosphere. Complimentary shuttle available from Boat Avenue. 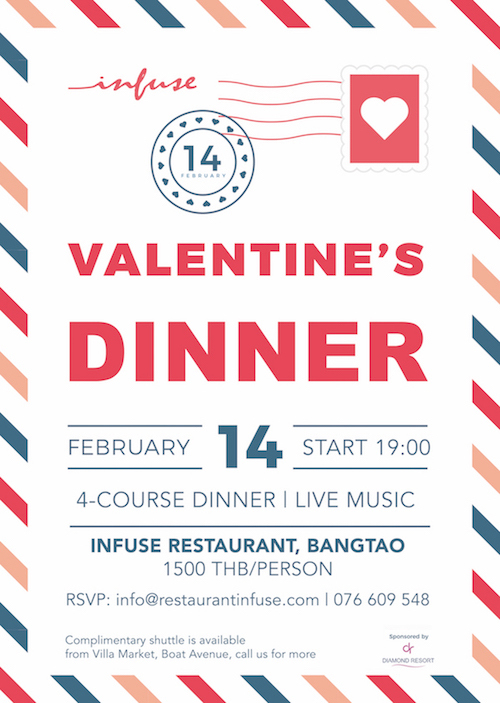 For more info and reservations call +6676609548 or email info@infuserestaurant.com.